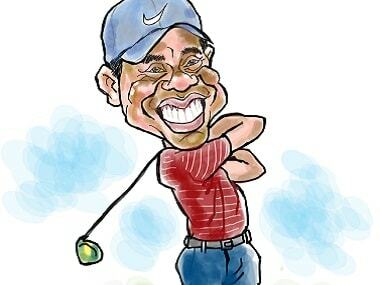 Los Angeles: Tiger Woods will make his latest return from long-term injury at the Hero World Challenge in the Bahamas next month, the former World No 1 confirmed on Monday. The 14-time major champion has not played since February after a recurrence of back problems which forced him to miss the 2015-2016 season. "I am excited to return to competitive golf at the Hero World Challenge," said Woods, who also made his last comeback at the tournament in Albany which benefits his charity foundation. Woods has not played a competitive round since firing a 77 in the first round of the Dubai Desert Classic in February. 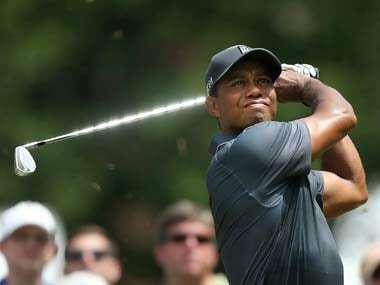 Woods withdrew from the event the next day and underwent another back operation in April, his fourth back surgery in all, that sidelined him for the remainder of the season. Since then Woods has posted videos during his battle to regain fitness, most recently footage of him firing a "stinger" shot with a long iron. During his latest injury layoff, Woods served as a US team assistant captain at the Presidents Cup last month where the champion golfer said he was uncertain about his return to competitive golf. The golf superstar has also battled demons in his private life, and was arrested for driving under the influence in May after being found asleep in his Mercedes-Benz by the side of the road near his home in Florida. Woods, who was found to have five drugs including the powerful opioid hydrocodone in his system, later revealed he underwent professional treatment to help him manage his medications. Woods last week pleaded guilty to reckless driving following the May incident. Under a plea agreement reached in Palm Beach County, north of Miami, Woods will avoid jail time unless he commits major violations of his probation. The plea deal requires Woods to spend one year on probation, pay a $250 fine, perform 50 hours' community service, and complete "DUI (driving under the influence) school". Woods, whose 79 career PGA Tour wins are three shy of Sam Snead's all-time record, has not won a major title since the 2008 US Open and has not won any event since the 2013 World Golf Championships Bridgestone Invitational.